Trust is such a complicated thing. Can God really be trusted? Join us as we dispel the lie that you cannot trust God if you don't understand everything about Him and what He's doing in your life. We all want to be accepted for who we are. No one wants to feel condemned because of a particular shortcoming or failure. So is it fair and healthy to expect that everyone in a church must accept you for who you are? Join us as we talk about how Jesus--and others in the church--can accept you for who you are, yet at the same time love you too much to allow you to remain just as you are. We will continue our series Lies We Want to be True. Many of us want to believe that we can “have it all.” We’ll look at how this phrase has different meanings to each of us, but how the pursuit of “all of it” can damage us and our relationship with God. It's a lie as old as time. The temptation to do whatever they wanted at the expense of other people seduced Adam and Eve in the Garden, and it continues to seduce us today. We want to believe that we are free to do whatever we want, as long as it doesn't hurt anyone. We expose this lie and correct it with the truth that our sin always hurts us, God, and others. Sometimes people say things that sound like something God would say, but actually are lies with serious consequences. One promise God never made to us was that He would never give us more than we could handle, yet this promise is often offered to grieving people. This assertion actually puts our trust in the wrong place and sets God up to disappoint. 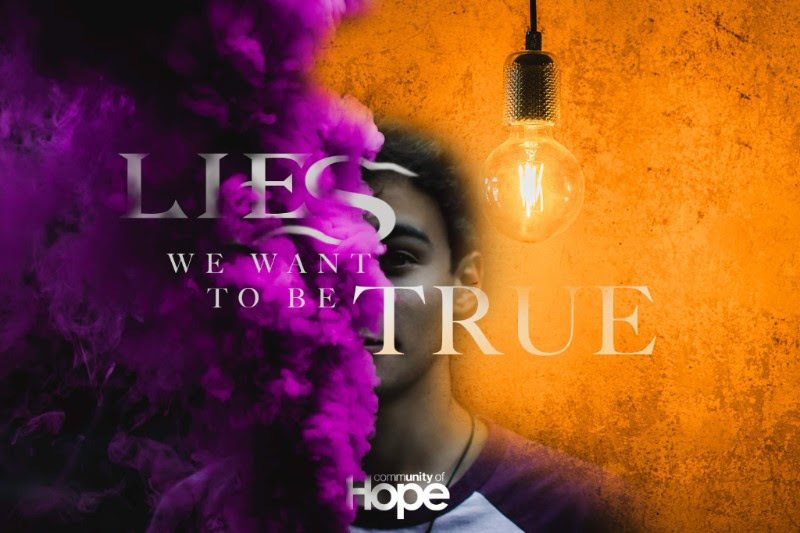 Join us as we begin a new series unpacking this first of a set of lies we want to be true.